Battery power is finding its way to all kinds of garden tools. The technology has come a long way, and many battery powered chainsaws are now more powerful than gas-powered models. For homeowners and professionals, battery power is the way forward. 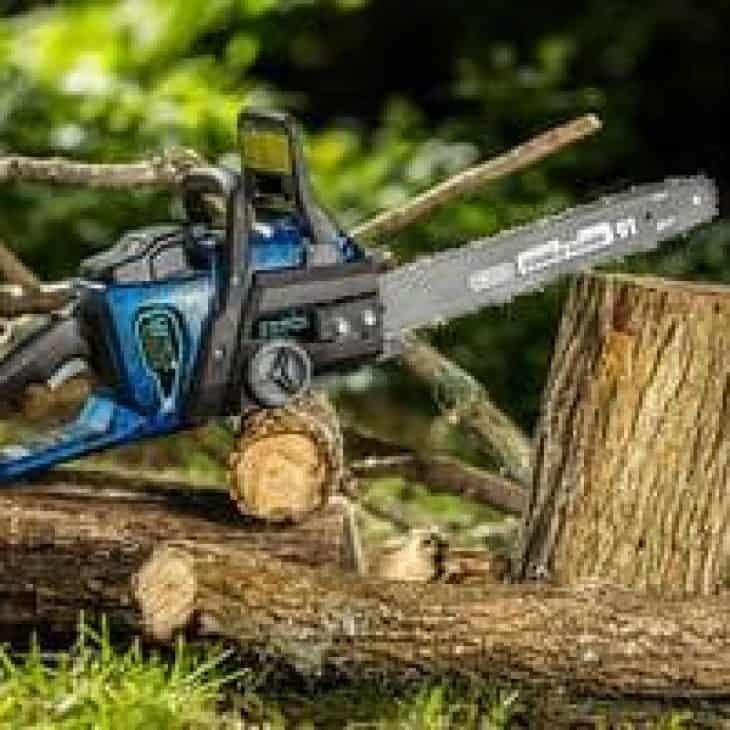 We reviewed 5 of the best rated cordless chainsaws. 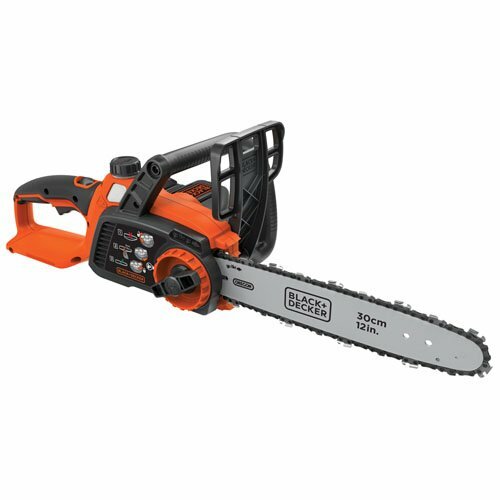 The Zombi ZCS5817 is a high-performance cordless chainsaw with matching reliability. 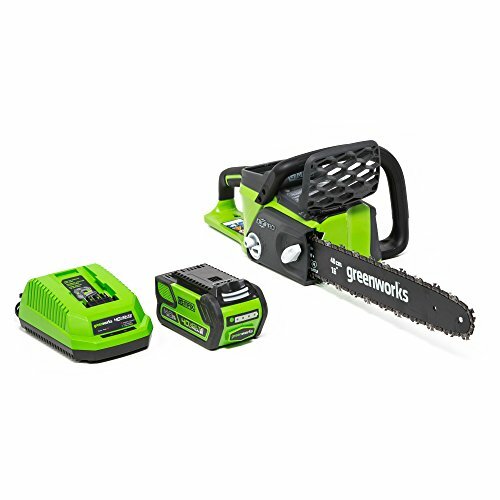 The GreenWorks G-MAX 20312 presents great value for a 16” battery-powered chainsaw. The Black & Decker LCS1240 is a highly maneuverable compact chainsaw for light cutting around the yard. It also happens to be very affordable. The Makita is relatively expensive but you will get what you pay for. This compact chainsaw is powerful and wieldy enough for heavy-duty work. 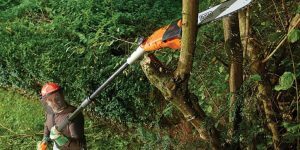 The WORX WG321 Jawsaw with extension pole is perfect for pruning and trimming branches high up in the air. Who makes the best battery powered chainsaw? 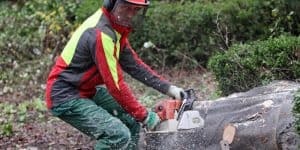 How good is the Stihl battery powered chainsaw compared to other brands? Who builds Echo cordless chainsaws? How long does a battery powered chainsaw last? How much is a decent battery powered chainsaw? How noisy is a battery chainsaw? 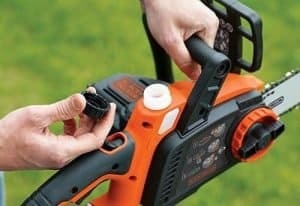 How to make my battery powered chainsaw more efficient? Go cordless with a battery powered chainsaw. The battery adds weight and cost to the saw but going cordless opens up a whole range of possibilities. It will need recharging but it is not recommended to operate a chainsaw continuously for more than an hour at a time anyway. 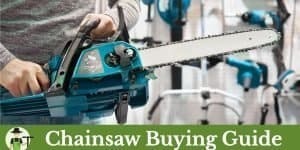 For first time chainsaw buyers and people who just want to learn more about chainsaws we have written the buying guide below. We go into batteries, guide bars, types of motors and more. And of course we have 5 cordless chainsaw reviews for you. We have written a similar guide specific to corded electric chainsaws too. As summer fades and the leaves start falling, the need for a good chainsaw becomes apparent. Contrary to popular belief, these appliances can benefit everyone. A tiled stove, fireplace, or cast-iron stove can add tremendous value even to homes with modern heating systems. These appliances burn wood, making a battery operated chainsaw—or a traditional version—essential. In addition, people can use these tools for various other household jobs, including cutting trees and other material, or even for bucking and pruning. The best cordless chainsaw has a sleek shape, light weight, and a lithium ion battery that does not use any environmentally harmful materials. Thanks to the chain guide and the chain itself, these machines can provide a powerful cutting performance and have a long service life. 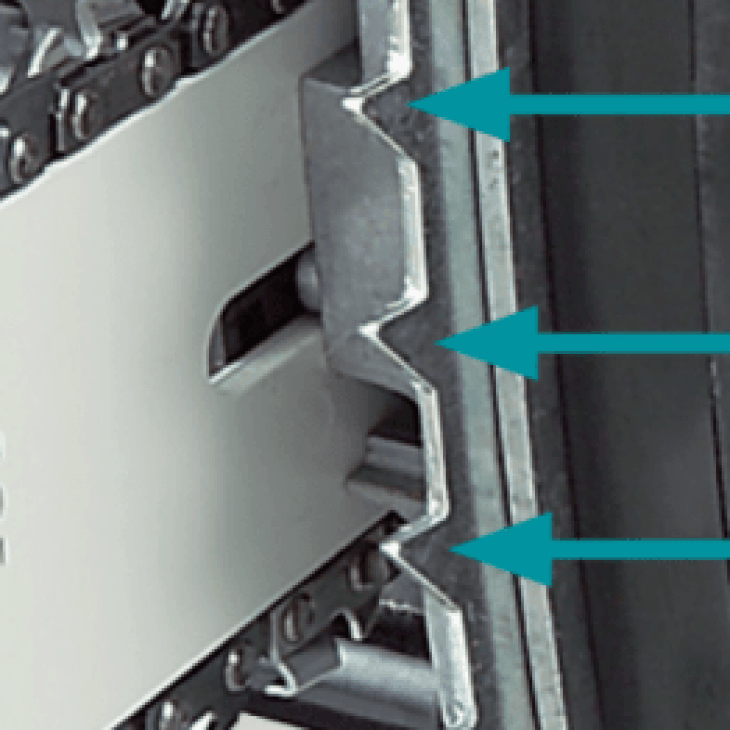 The tool-free chain tension usually makes the job easier, along with the automatic chain lubrication feature. This adds to the durability of the tool. 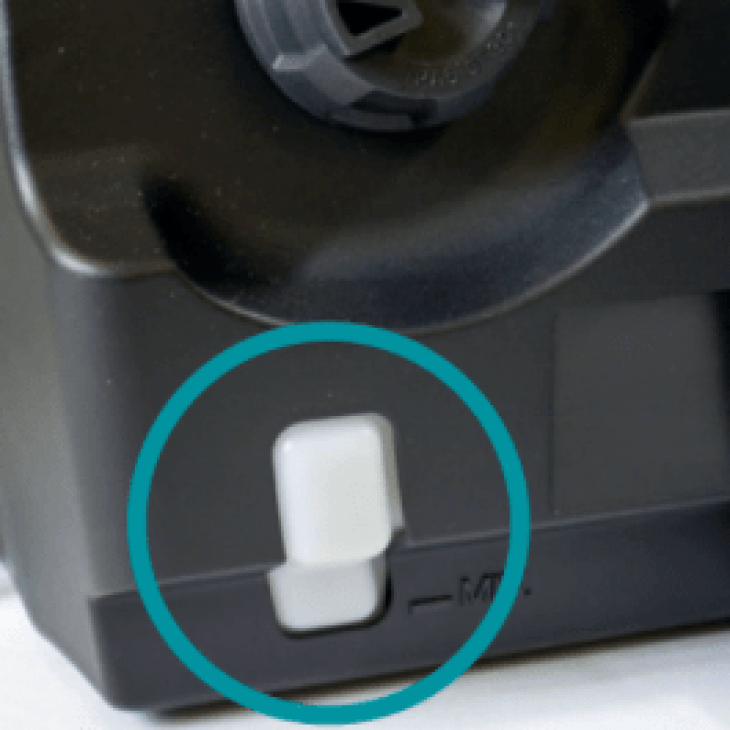 The system brake and quick-release hand guard bracket provide additional security. 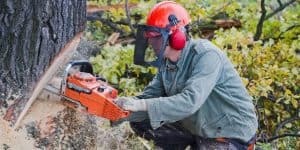 Therefore, the main advantages of a battery-operated chainsaw are easy operation and safety, arguably the two most important buying considerations for customers. Apart from very occasional power issues, a battery-operated chainsaw is the superior choice for beginners. 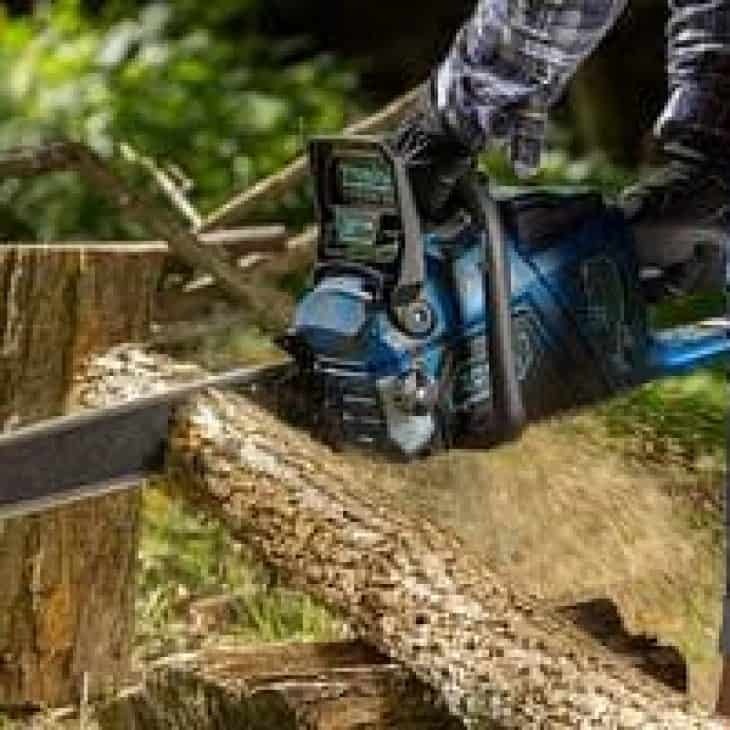 They feature more convenient designs, and with the evolution of lithium ion batteries, they can offer power too, combining the best qualities of gas-operated and corded chainsaws. The only downside is charging time, but with the turbo charge function that most appliances offer nowadays, even that issue seems to be disappearing. 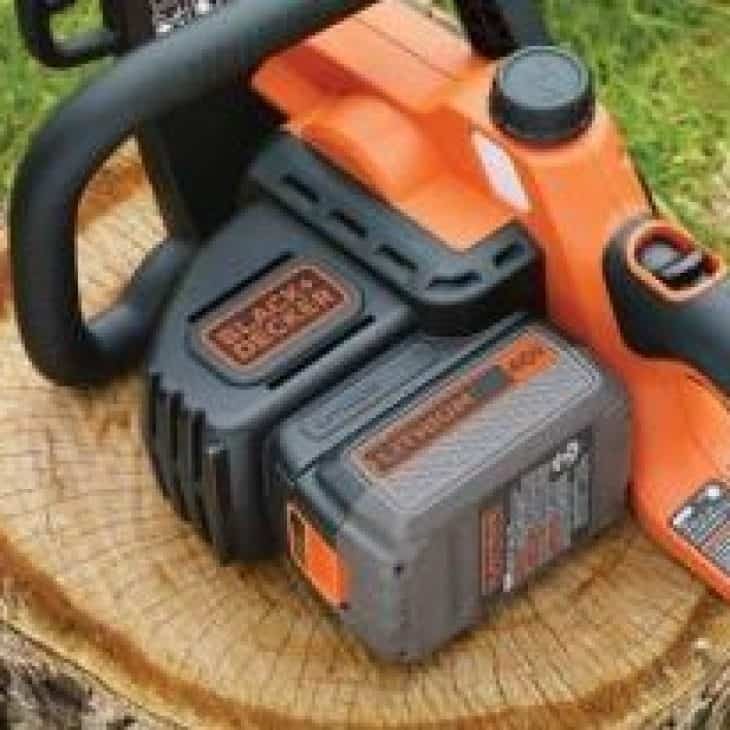 To differentiate between the various battery designs and outputs—undoubtedly the most important component of a battery powered chainsaw—it is beneficial to understand Ah and voltage, and what kind of information people can get out of these values. Amps-hour (Ah) means the capacity of the battery (energy absorbing capacity). 1 amp equals the distribution of a 1A current for a period of 1 hour, or a 10A Current for 0.1 hours. So, if someone has a device that takes on 20 amps and is charged for 20 minutes, the Amp-hour demand is 20 (amps) × 0.333 (hours), equaling 6.67 Ah. Cyclical and starter batteries have an Ah capacity generally designed for a period of 20 hours. So when a battery has a 100 Ah capacity, it can distribute 5 amps for 20 hours without the battery voltage falling below 10.5V, which is crucial in terms of durability. Voltage in a battery refers to a difference of electric potential. The higher that difference is, the higher the voltage is. The battery’s maximum voltage drops steadily during use and continues to increase during charging. 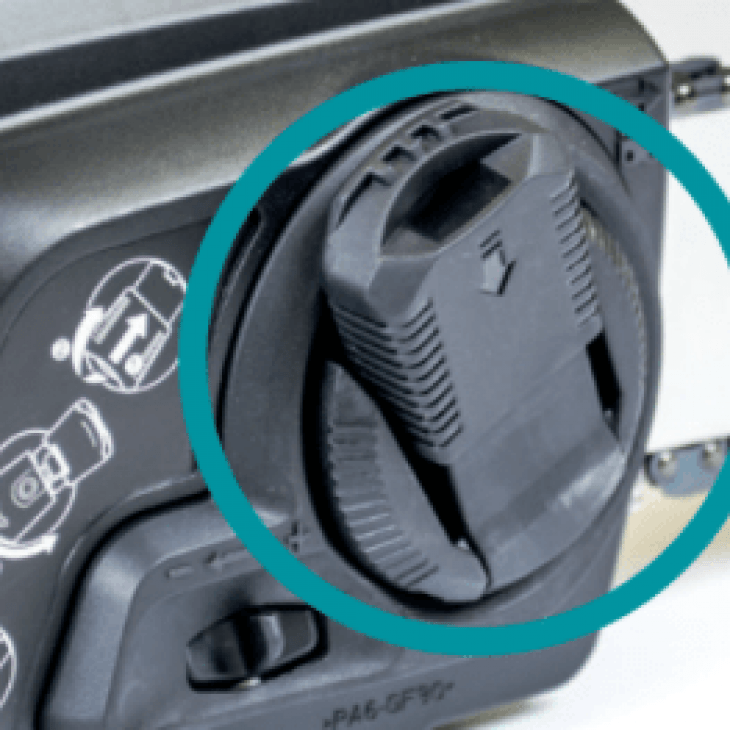 If the terminal voltage drops below a certain level—that level depends on the battery—while charging, the battery may be compromised, and the charging must be terminated before the additional load causes further damage. The charge must also be terminated when the terminal voltage reaches the charge value. 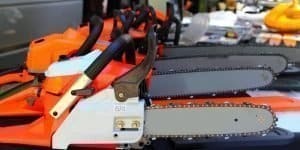 Overcharging can cause serious damage in a battery-operated chainsaw, which can lead to a dangerous chain reaction. There are two types of bar lengths, cutting length and overall bar length. Sometimes, people get confused, and don’t know which type of bar length they really need. Cutting length is the actual length one needs to determine bar length. This applies to all makes and models, including battery operated chainsaws. To measure the required bar length, one has to take a measuring tape, put it where the chainsaw body and the bar meet, and measure the distance between that point and the tip of the bar. That is the required length of the guide bar, and once rounded up, also the actual cutting length the battery operated chainsaw should handle. One of the most common mistakes is measuring the full length of the bar, which is not the correct length for the chainsaw bar. The bar length impacts performance, which is why it is not recommended to go too long. If that happens, the battery operated chainsaw can lose some of its power. One can easily avoid that if they follow brand recommendation regarding maximum bar length. 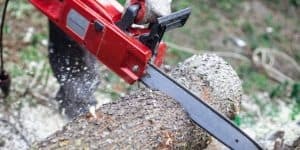 There are many considerations when buying a battery operated chainsaw, including price, size, and weight, to name the three most obvious aspects. These criteria are obvious to any buyer, but there are other considerations to ponder. Battery included or not: The battery is the most important—and often most expensive—component of a battery-powered chainsaw. This is especially true for lithium ion batteries, which bring a lot of advantages to table when compared to corded or gas-powered designs, or even their regular counterparts. One of these advantages is capacity, both nominal and maximum. While a lithium ion battery can be depleted till about 5% of its total capacity, nickel-iron batteries must be recharged once they drop below 20% of their charge. The other advantage is quick chargeability. A lithium ion battery is expected to last nearly twice as long as nickel-iron accumulators. Even beyond its expected lifetime, a lithium ion battery is still capable of outputting about 75% of its rated capacity. The third major advantage is practicality. When charging a battery powered chainsaw, there is no need for a charging station, or ventilation for that matter. The battery can be charged in the machine. For these reasons, deals that involve an extra battery in addition to the one already in the machine—which should be the bare minimum—should be considered superior. Any company that offers extra batteries clearly understands these tools. Charge time is another important trait of the battery. A battery chainsaw that has a quick charge or turbo charge function is inherently more practical. When time is in short supply, the quick-charge function can be very useful. 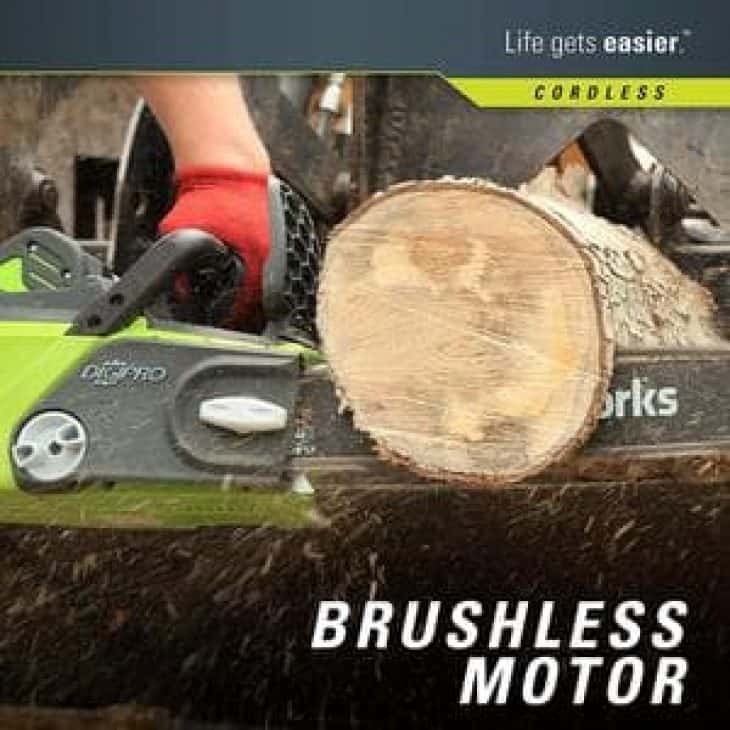 There are three main types of chainsaw motors, electric ones that require corded designs; gas-powered engines that burn fuel to operate, and battery-operated motors, which can be brush or brushless power sources. The internal concept is virtually the same in both designs. Once the engine is energized, a magnetic field appears and reacts to the magnets, creating the shaft force which ultimately routes the electric power, making the rotor move. The main difference between brush and brushless designs are these little moving parts called commutators, which are present only in the brush motor designs. The brushless motors use an amplifier, which is triggered by another device, often an optical encoder. Brushless motors are about 10% more efficient than their brushed counterparts, thanks to the reduced loss in heat energy. To guarantee safe cutting, the guide bar length should be about 2’’ longer than the wood one wishes to cut. 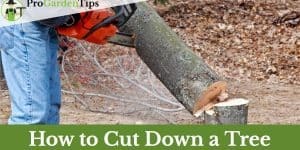 Large trunks should be cut using heavy-duty chainsaws that were designed for that kind of work. For most homeowners, an average bar length of about 16’’ should be ideal. A top handle battery powered chainsaw allows more control, and is ideal for trees and branches. They have great balance, but are not as versatile as rear handle designs. As a result, they are better for tree work and cutting above ground level. Many experts argue that they should not be used for ground work. For that purpose, the rear-handled designs are more suitable, as they bring much-needed versatility compared to the top handle chainsaws. Rear handle tools are more beginner-friendly. 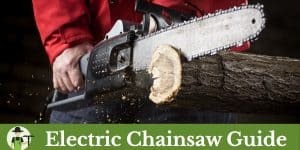 A high-quality battery-powered chainsaw can be a good addition to any home, especially those with frequent garden projects. They can provide the best features of gas-powered and corded electrical designs, with none of the weaknesses. 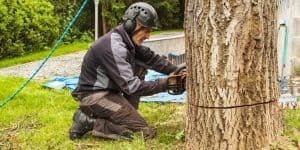 Battery-powered chainsaws developed a bad reputation because of its power output, but these doubts are no longer valid. Today’s batteries are capable of providing consistently good energy outputs, powering strong chainsaws with high RPMs. They get the job done with flying colors, and the only downside is the recharging process, which can be countered too. With extra batteries, one can complete bigger projects without skipping a beat. The Zombi ZCS5817 cordless chainsaw is part of the highly rated Zombi 58V series of battery-powered tool marketed by the American Lawn Mower Co. of Shelbyville, Indiana. 58V is about half the US wall voltage, so you would expect this battery-powered chainsaw to be quite powerful. And you would be correct. Before that, the first thing you’ll notice about the Zombi ZCS5817 is its aggressive styling and paint job, as if it belonged in the X Games. The chain speed is rated at 3,700 RPM, which is higher than many corded electric chainsaws. It weighs 16lb, which is not too heavy, considering the 58V 4Ah lithium ion battery. Higher battery voltage is not necessarily better. It is the Zombi ZCS5817’s excellent, high-efficiency brushless motor that makes it so powerful. The 16” Oregon low-kickback bar and chain can cut through thick logs with ease. 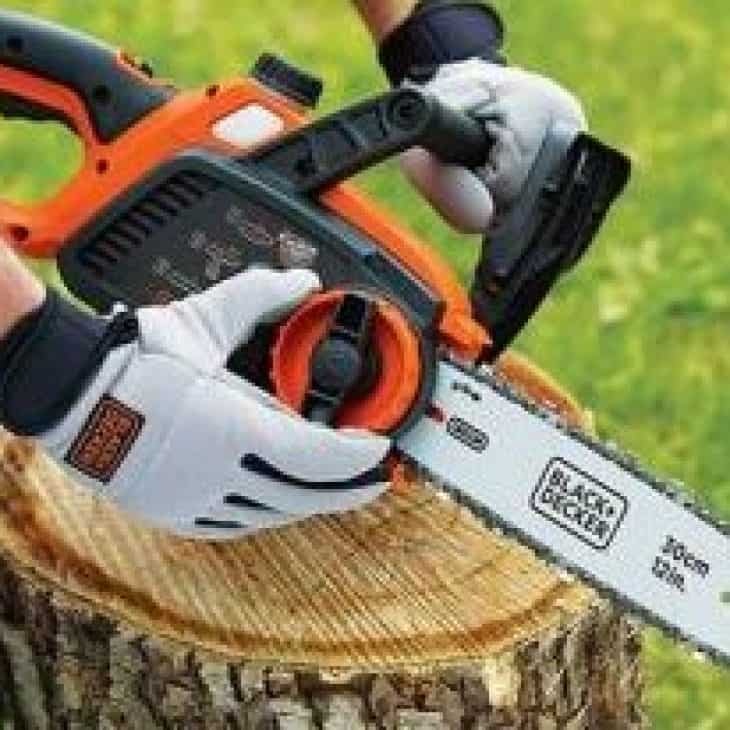 This chainsaw has all of today’s standard safety and convenience features. GreenWorks is perhaps the best battery-powered tool brand to come out of China. 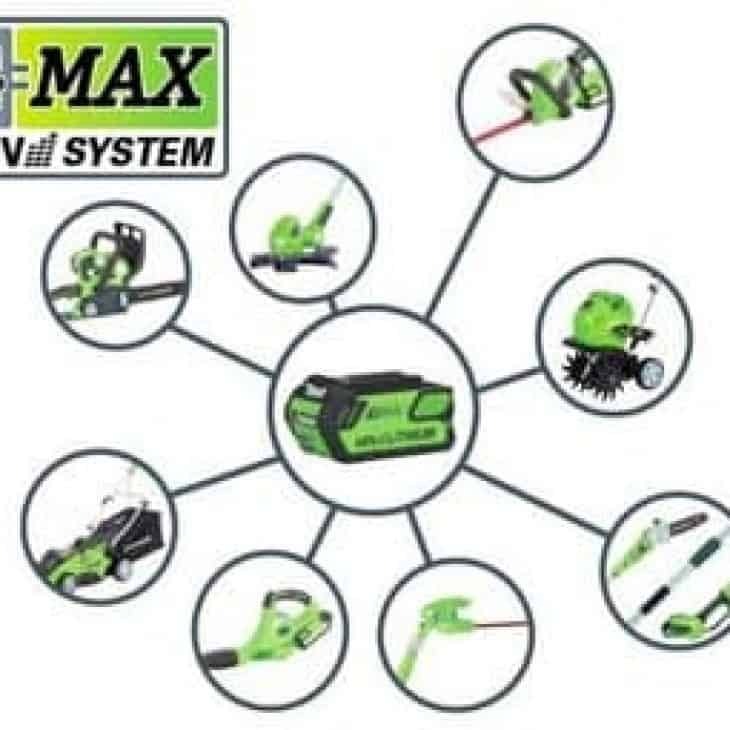 The G-MAX series chainsaw, the GreenWorks 20312 is one of the most popular in its price range. The 40V 4.0Ah G-MAX lithium ion battery is fade-free without memory effect, though it takes 2 hours to charge. The company claims its brushless motor delivers 30% higher torque while generating 70% less vibration than traditional brushed motors. All standard safety and convenience features are built in. This chainsaw is equipped with a 16” bar and chain, which is on the long side for a battery-powered chainsaw. While the GreenWorks G-MAX 20312 is powerful for its price, it is more suitable for moderate-duty cutting. We managed to get this chainsaw to shut down when using it to cut overly thick hardwood. The Black + Decker LCS1240 is a compact battery-powered chainsaw with a 12” bar. The 2 Ah battery is rated at 40V max, which means 36V nominal charge. The maximum charge is just the way many manufacturers chose to rate their battery-powered tools these days. This economical chainsaw has tool-free chain adjustment and automatic chain oiler but no chain brake, probably because it uses a short 12” chain. 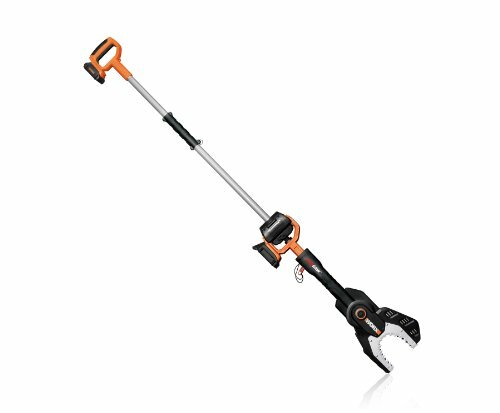 This also makes the Black + Decker LCS1240 very lightweight at just 11lb. including the battery. The 2.0 Ah 72 Wh battery will last about 45 minutes trimming light branches. It takes about 2 hours to charge, which is slow by today’s standard. It is a good lithium ion battery that can hold a charge up to 18 months with no memory effect. Oil level visible through large window for easy sight check of bar lubricant. Rubberized grip handles and large trigger switch for comfortable use. Large metal spike bar for increased productivity. 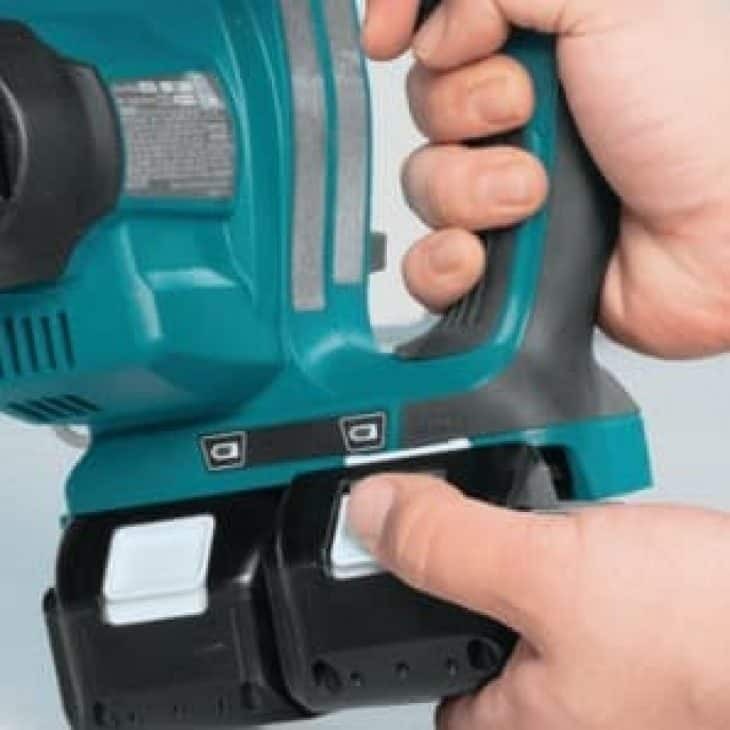 The Makita XCU02PTX1 is a serious battery-powered chainsaw that can satisfy even professionals. 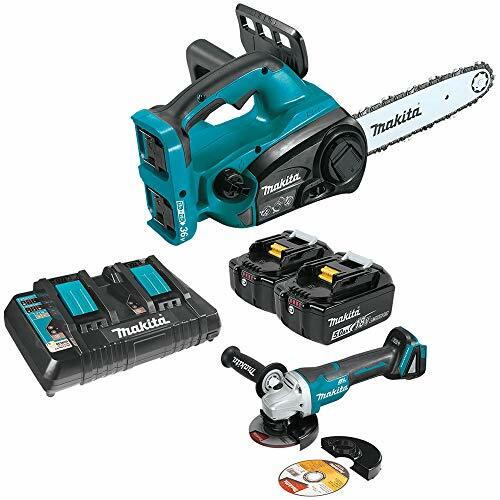 This is Makita’s only cordless chainsaw, and it is sold as a kit with an angle grinder. 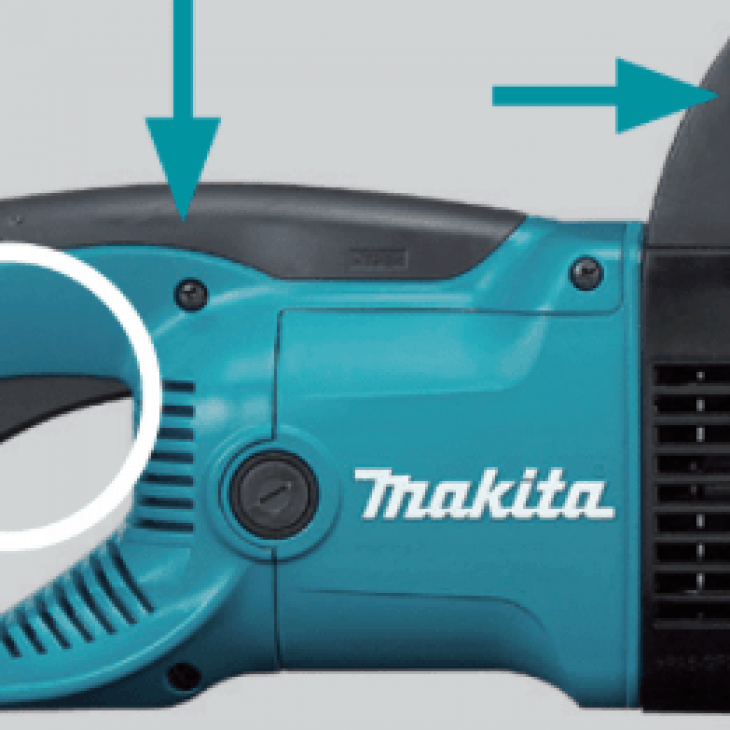 This chainsaw uses two Makita 18V LXT lithium ion batteries (for 36V total). The dual-port charger takes only 45 minutes to charge the batteries. Don’t let the light weight of 10 pounds and the short 12” bar and chain fool you. 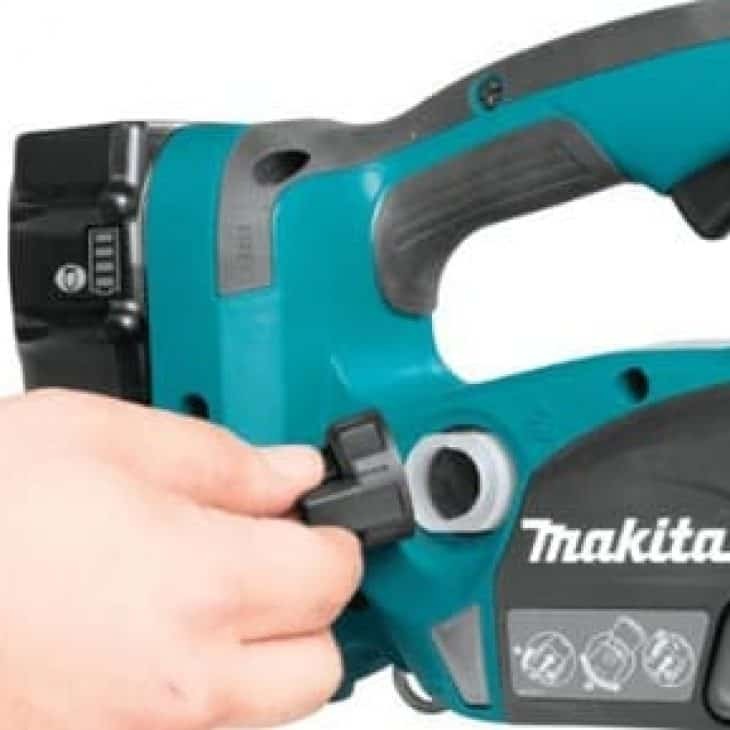 The Makita XCU02PTX1 is fully capable of cutting very thick 30” wood if you know what you’re doing. We like the great balance of this chainsaw thanks to the rear-loading batteries. This chainsaw handles like there’s no tomorrow. It features chain brake, tool-less chain adjustment, and automatic chain oiler. The chain speed is rated at 1,650 FPM or 8500 RPM. The angle grinder uses only one 18V LXT battery. The WORX WG321 is a battery-powered lopper (the company calls it Jawsaw). It comes with an extension pole that can extend the reach to about 12ft, perfect for tall branches without the need to climb ladders. The Jawsaw chain is 6” with an effective cutting diameter of up to 4”. The WORX Jawsaw is well built, and the extension pole is thick and robust. With built-in auto-tension system and automatic chain oiler, it is also very easy to use. The 20V 2Ah lithium ion battery does not last very long, maybe about 30 minutes of non-stop cutting. It will take close to 3 hours to recharge. When it comes to outdoor power equipment, I personally am a fan of buying established brands. 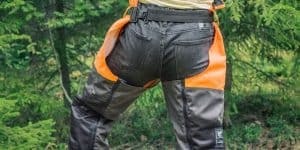 Good examples of these are Stihl, Husqvarna, Black & Decker, Makita, Greenworks, Worx, and a few more. These brands usually have decent warranties on their products, which should make you feel confident that the machine will be working for you for a long time. And if there is any issue with the product, you will likely get it fixed under warranty or they might even offer you a replacement. Another benefit is spare parts are plentiful, and so is the amount of technicians who are able to work on the machine. Stihl is one of the major chainsaw manufacturers in the world, and have been for a long time. Many professional landscapers use entire lines of Stihl power equipment on a daily basis. This should be evidence enough that Stihl is a dependable brand of chainsaws. 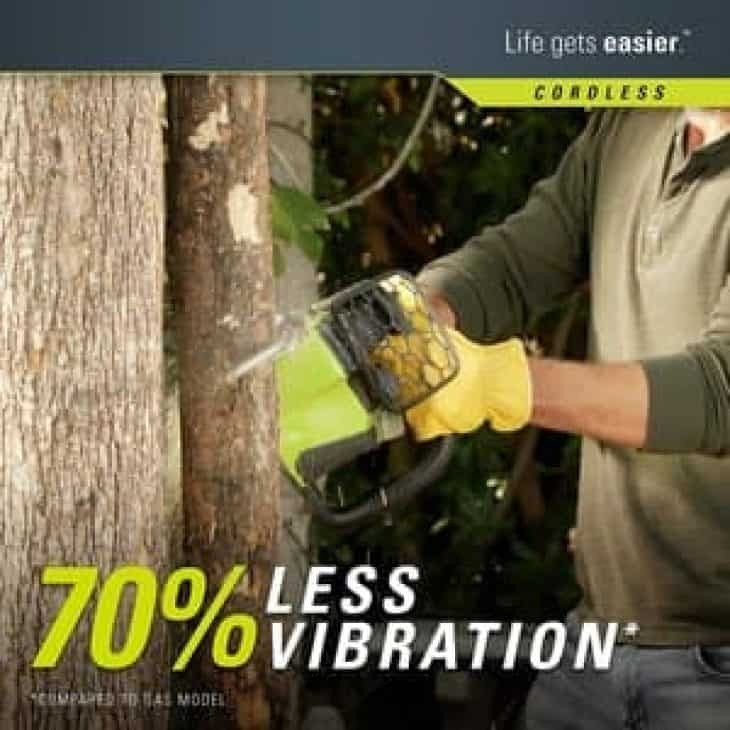 They have some great cordless chainsaws in their catalogue, however unfortunately their products are not sold on the major shopping platforms in the USA. This is likely because they want their products only to be sold and serviced by certified Stihl dealerships. This is to maintain a great image of the product, since their main aim is towards professional landscapers. The Echo brand is owned and operated out of Japan by Yamabiko corporation. In addition to Echo, they also manufacture Shindaiwa power tools. The company was founded by the Asamoto brothers in 1947. They started their company with the manufacture of agricultural equipment. It wasn’t until 1978 that they began trading under the Echo brand name. The first few years they only focused on crop dusters, in particular a revolutionary engine-powered manual crop duster. The first string trimmer came along in 1960, however this machine did not bear the Echo brand name. The first chainsaw was introduced in 1963, the ECHO CS-80. The company has manufacturing plants in Yokosuka and Morioka in Japan, Shenzhen, China and Lake Zurich, Illinois, USA. This will depend on a lot of factors. First of all the capacity of your battery. Don’t look at voltage for this, as voltage only indicates power. Ah is the indicator to look for when it comes to runtime. Batteries with higher number of amp hours will last longer. Another factor will be the length of the cutting blade. A longer blade and chain takes more power to keep spinning, which in turn will diminish the battery life. Width of the chain is a factor. Thinner chains cut through wood more easily, and so will prolong the battery life. Keeping your chainsaw razor sharp helps prolong battery life as well. Most important though, is knowing what these types of saws are really made for. They are not made to fell big trees all day, for this purpose, a gas-powered chainsaw is much more suited. If cutting through 8 inch logs, don’t expect much more than 10 minutes runtime. Battery operated chainsaws are primarily made to do pruning, and they can do lots of it, since this is not a battery intensive job. In fact they are the ideal tool for this, as you do not have to pull the cord and start the engine every time you want to cut off a branch. Of course they are able to fell small trees occasionally, just be aware of its limitations. Make sure the battery is fully charged before you start the job. Nothing worse and more dangerous than being halfway through a felling cut and have a dead battery. This would be a very dangerous situation. What if the wind picks up while you’re charging the battery? Having a second battery will increase the usability of these saws tremendously. 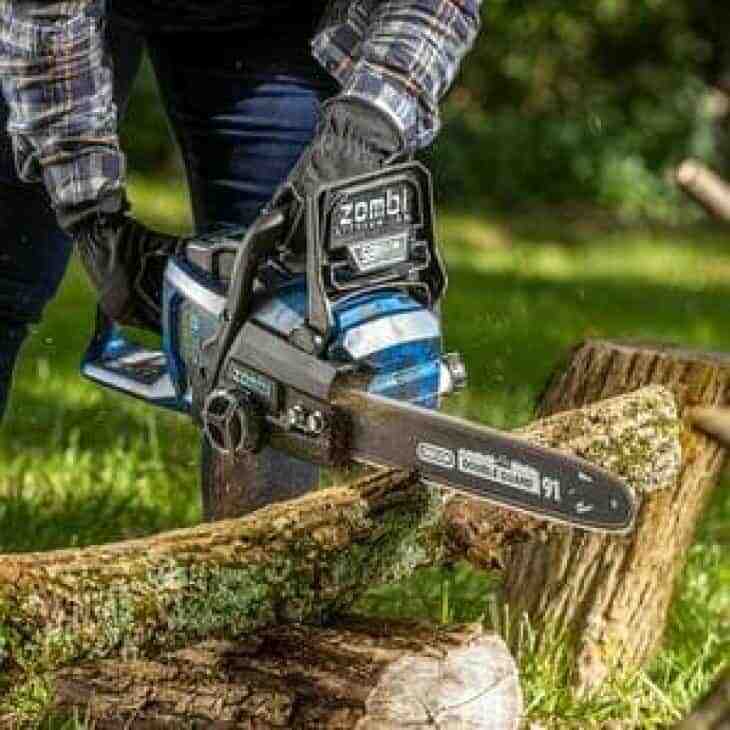 When purchasing a cordless chainsaw, look for brands that have entire product lines of outdoor power equipment that can make use of the same battery packs. This way once you have the batteries, you are able to just buy bare tools without the batteries, saving you lots of money. For a quality machine, prepare to spend at least $200,- This is the machine, and usually including one battery. We do not recommend anything less than this, as the quality simply won’t be up to par. If you already own batteries, you may be able to purchase the same machine for as little as $120,- This is why I always recommend buying into lines of products that can all share batteries. Compared to their gas powered brothers, the noise of these machines is negligible. Obviously there will not be any sound when the chain is not spinning, because there is no combustion engine running. Noise-wise, these machines are an absolute delight to work with, and in most cases will be able to use them without the need for hearing protection. Another benefit is that you will not bother your neighbors, and keep curious eyes away from what you’re doing. The biggest factor in how any chainsaw performs is in the chain. Make sure to always have a razor sharp chain. If it is not sharp, you will waste precious battery life away. See our guide for how to sharpen a chainsaw. Second make sure the chain is not too tight around the blade. If it is too tight, there is too much friction between the chain and the blade, and the motor will have to work much harder to keep the chain spinning. It will also reduce the life of your bar and chain. Make sure the chain oil is topped up before you start work. This oil is specifically designed to lubricate the chain. Also make sure the channel out of which the oil is supposed to drip onto the chain, is not clogged with sawdust. This is a common occurrence, therefore always keep an eye on the chain. If it is functioning properly, the chain will be glowing with a thin film of oil. If it is clogged, the chain will become dry and hot, and the chain will become very tight around the blade, further increasing the friction. Lastly keep your batteries well conditioned year round. This means when your not using the saw for a while, pop your batteries on the charger for a maintenance schedule if you can. Otherwise let the saw drain the battery and charge it again. Modern lithium-ion batteries do not like to be empty, so when you store them, make sure you store them fully charged. In winter, do not leave batteries in a cold barn or shed, as batteries do not like freezing temperatures. Instead, take them into the house with you. 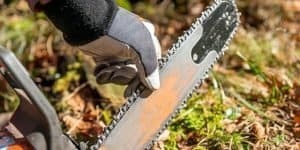 What is the best Homeowner Chainsaw?